In this article I am going to discuss the Case of a missing husband by Prashna Jyotish . The Ingress of Rahu in Cancer and Jupiter in Libra influenced a native so much and he went in depression and left the home for good and could not be traced till date . My observation has been that when the Nodes, Saturn and Jupiter change sign they bring a change in the life of the natives . One such case of a missing person is being discussed in this article who goes missing after the ingress of Rahu in Cancer and Jupiter in Libra . When the native approached me I could immediately predict that the native is born in the multiples of 9 Minus 1.5 years hence 45- 1.5 = 43.5 years hence the native is 43 years of Age Plus. The Querist was amazed and gave a reply in affirmative . I will explain why I came to this conclusion. The native has obviously Rahu in Cancer and Rahu ingress in Cancer over the natal Rahu took place on the 9th Sept. 2017. Hence the influence of Rahu will be immense after 9th Sept. 2017. Jupiter ingress in Libra took place on the 12th Sept. 2017 and I found it to ingress over the natal Moon and in the 4th Paraya. Jupiter over the natal Moon brings Raj-virodham , hence I could make out that the Native has left home and is in deep depression due to some false implications in Monetary dealings in his office . 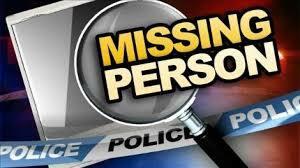 I was amazed when the spouse of the missing person gave a reply in affirmative . For Queries related to missing person and hence a Jeeva Query then if Odd Lagna is rising then it has to be, 3rd, 6th or 9th Navamsha and Jupiter in the Lagna also specifies a query related to a Jeeva. The Day is wednesday and the Lord is Mercury place in the 11th house and having Exchange with Sun Forming a Malefic yoga . The Day Lord is Placed in the yama of Taurus and the sign is placed in the 8th house whose Lord is Placed with the Day Lord Mercury clearly points out that the Query is about some Permanent loss and since Venus is Karka for Marriage it is regarding her Spouse of the querist who has gone missing. The Lagna is Odd and having Jupiter a Jeeva Planet , hence the query is about a living being . The chart is at the time when the Querist last talked to her husband , Now since the Lagna Is Libra and the Dwadamsha Sign of Sun the Missing person may not return. The Querist informed me that her husband was last seen around 10.10 am and according to Prashna Jyotish since it is a Jeeva Query the 9th Navamsha has to rise , Hence the Missing Person faced untoward happenings between 10-25-10.40 hrs . Is the missing Person in Captivity ? Saturn as a Fallen Planet supposed to be most Venomous is aspecting the Ketu almost degree-wise in the 4th house and Saturn also aspects the 8th house , hence the Missing Person may suffer on account of Captivity or Committing a Suicide , since when He last had a talk with his wife the Navamsha was Pieces and a Watery sign and may be near a watery Place , which the Querist confirmed , At 10-41 hrs Scorpio will rise and is again a Watery sign and the 2nd House where Fallen Saturn is Placed who is Karka for Longevity and afflicted by Mars the Karna Lord who is most malefic at the time he left the house . Ketu Placed in the 4th house aspected By Fallen Saturn at the time of Leaving and at the time of Prashna Mars aspects the Ketu is Most malefic for the return and even the whereabouts .